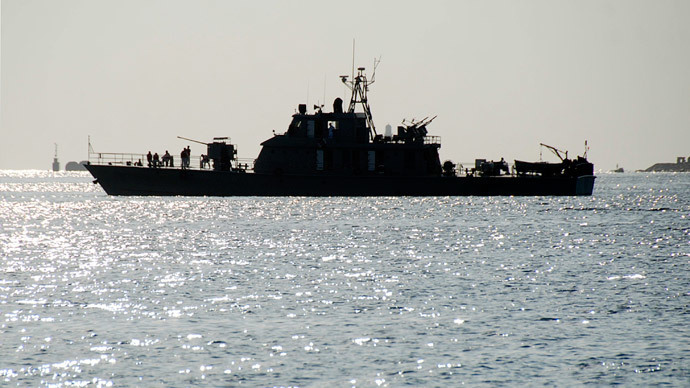 The Iranian Navy has reportedly seized a Marshall Islands-flagged ship with 24 crew members on board. It was previously reported by media that it was a US vessel, though the Pentagon denied those claims. The navy seized the Maersk Tigris under court order at the request of Iran's Ports and Maritime Organization, Fars news agency reported. "The ship was seized after a relevant court order was issued for its confiscation," Fars quoted a source as saying. The manager of the confiscated ship told a Danish news channel that the 24 crew members are mostly from Eastern Europe and Asia. IRNA news agency reported conflicting figures, saying that there were 34 crew members on board the vessel, the majority of whom were Europeans. Pentagon spokesman US Army Colonel Steve Warren confirmed that Iranian forces boarded the Marshall Island-flagged Maersk Tigris vessel after patrol boats fired warning shots across its bow and ordered it deeper into Iranian waters, Reuters reported. He called the decision "inappropriate." "At first appearance it does seem to be provocative behavior, but again we don't have all the facts yet," Warren told a Pentagon news briefing. The vessel initially ignored the warning but complied after the shots were fired, Warren said. The ship had no US citizens on board and was traveling through the Strait of Hormuz when it was seized, the spokesman added, stating that US planes and the destroyer USS Farragut responded to a distress call from the vessel and are monitoring the situation. According to Reuters tracking data, the Maersk Tigris is 'underway.' Its status is set to 'fast' and its destination is listed as Jebel Ali, United Arab Emirates. TheMarine Traffic tracking system also says it is heading for Jebel Ali, at a speed of 4.5 knots. Fars and Al Arabiya previously reported that an Iranian warship was taking the vessel to the city of Bandar Abbas. The Maersk Tigris is managed by Singapore-based Rickmers Ship Management, part of the Hamburg-based Rickmers Group. It comes as Iran continues talks with the six world powers on the development of a nuclear deal. US Secretary of State John Kerry told a global gathering on nuclear disarmament on Tuesday that a deal is “closer than ever” but that tough negotiations lie ahead. The comment came after Kerry met with Iran's foreign minister on the sidelines. In a tentative deal reached earlier this month, Tehran agreed to curb sensitive nuclear work for at least a decade in exchange for sanctions relief. Though Iran insists its nuclear program is peaceful, the West fears Tehran is using the program to develop atomic weapons.